HAITI. Plateau Central. 2007. 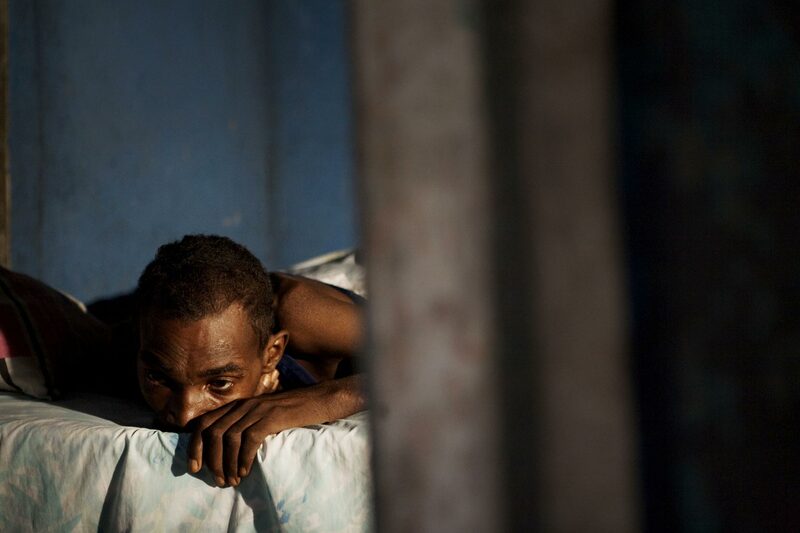 Chery RELNEL, 38, a former truck driver who lives with his wife, Claudette, who is also HIV positive. Chery looking out, with nausea.